Within Teamwork Projects, you can share filters from site level areas such as the Everything section and the calendar, to a member of your team so that they can see the information you are seeing based on your applied filter, without having to save them. The filter options will vary depending on the item you are filtering. Note: If you share a filter with a user who does not have access to the relevant area, they will not be able to view it. Click the filters button in the top right of the area you are in, to reveal the filters pane. To share an unsaved filter, set your filter requirements first. You can then select the options button next to Unsaved Filter and choose share. 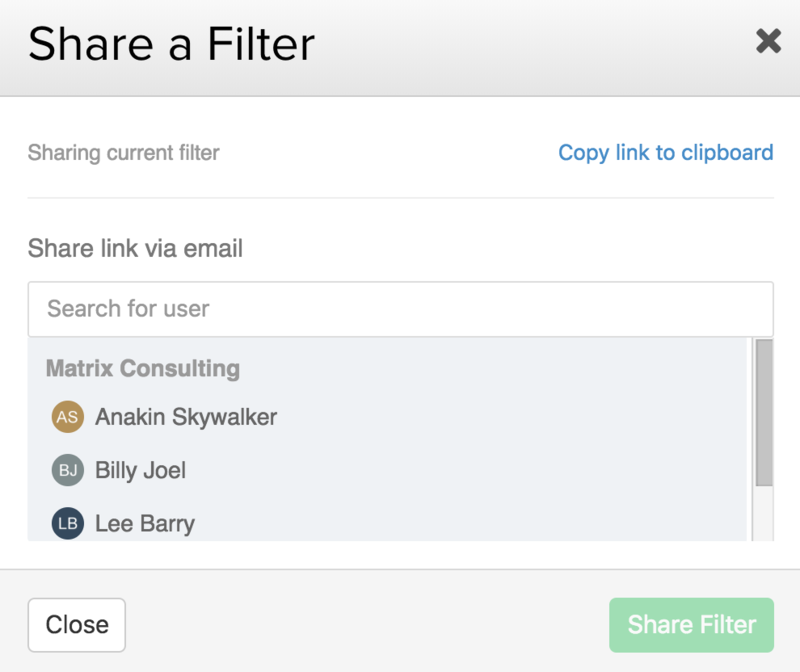 If you have a some filter options or a saved filter applied, you will also have an option to share in the options (three dots) menu in the top right corner of the area.